Golden rays of afternoon sunshine illuminate the porch of the Homestead House, another highlight of the Shattuck Windmill Museum & Park in Oklahoma. 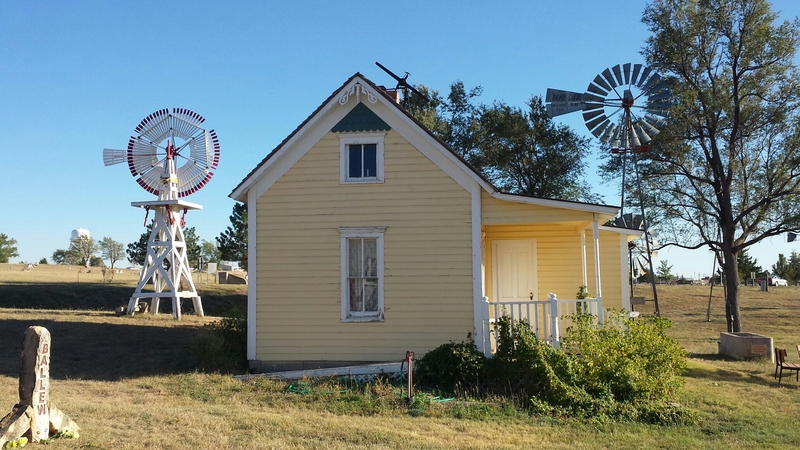 Originally the home of David Steinert’s family starting in 1901, this historic pioneer home was donated by his heirs to the windmill park. 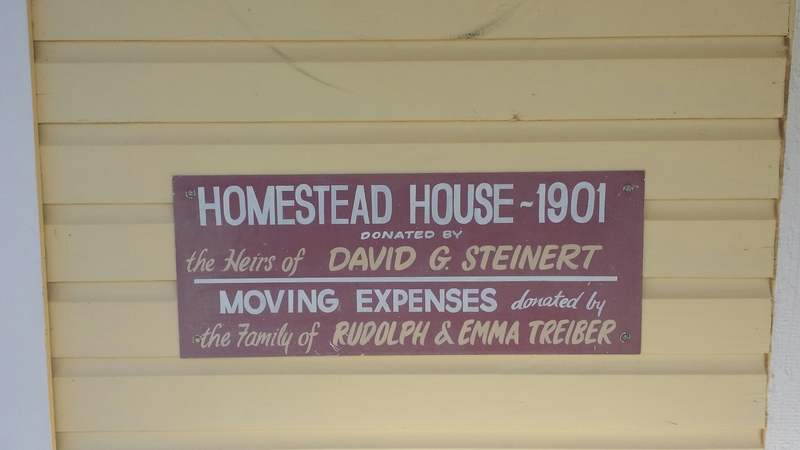 The home’s relocation expenses were donated by Rudolph & Emma Treiber. This gem of an house is a treasure in the Shattuck park. Park attendees may ask to see the inside of the story-and-a-half farmhouse. 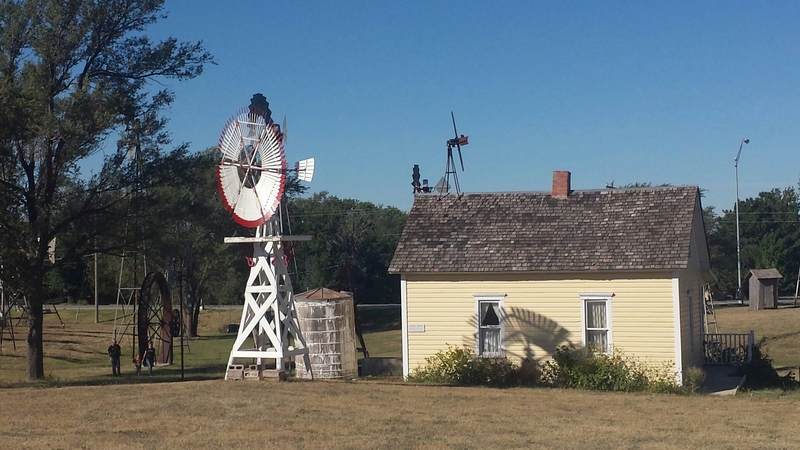 A wooden Dempster #9 antique windmill sits just behind the pioneer house and a WinCharger is poised on the roof. The farm house’s family may have used such a WinCharger to produce low wattage electricity which powered a radio or a just a few lights. The Dempster or similar windmill would have provided fresh water for the home when wind speeds reached a minimum of three to five m.p.h. The water would have been stored in a wooden tank, as the one currently displayed just south side of the house. Come on by the Shattuck Windmill Museum & Park. Admission is free. And bring your camera! Beautiful home and setting. The windmills have their own stories, don’t they? Is the interior of the house restored? The roof looks as though it has suffered from long use. Yes, Arletta, the inside is in good shape with donated period furnishings. Good point on the roof. I hope they have a plan for that soon!